Jonathan Calder at Liberal England is puzzled as to why John Leech MP for Manchester Withington declared at a Labour conference fringe that he abstained from the vote on the coalition agreement. In a moment of blogger fail I missed a chance to break some exclusive news. I can reveal that John Leech did tell me and LibDemKitty at the Liberal Democrat conference that he did abstain from this vote. I suspect John Leech was happy for this news to be gently discovered, after all the Lib Dem MP's already know who abstained. Now bearing in mind that I had a little to drink and cannot remember the full details of what John Leech said to me that evening. I do remember that even though he supports the coalition agreement he couldn't vote for it. He gave me the impression that he was being pragmatic, after all he is the MP for the South of Manchester a seat won of Labour. I believe that in his heart of hearts he just could not do it. John Leech understands why as he wrote on his blog but he does also understand his electorate. An electorate that has a large labour vote (Labour had 44.7% and Liberal Democrats 40.5% this year). His seat is at risk as it is a seat where he is fighting Labour (although I suspect his vote is pure Lib Dem and some soft Tories which should keep him in). John does agrees with the coalition given the circumstances, but he does understand that he will have a fight on his hands to keep his seat. John Leech has done well to keep his seat this time round and indeed increase his majority. I do remember during the election some from Labour claiming they will win this seat back after all in 2005 John Leech only had a majority of 667. John Leech certainly won't have a problem with any future coalition with Labour, after all he did say "The door is not shut on the Liberal Democrat and Labour parties working together. Labour need to re-think the mistakes they made over the last thirteen years and get out of this immature opposition mentality that they appear to be so comfortable in now". (perhaps possible with Ed Miliband at the Labour helm given his speech at Labour conference). So in summary, perhaps John Leech should of told his electorate first but it is now history. I do think he should let his electorate know now he has revealed this information through the local press or on his web site. Bentham, who died soon after co-founding the college in 1826, is venerated as "the godfather of UCL" for his "advocacy for the poor and of human rights" — and it is customary for students in their graduation gowns to be photographed here by proud parents. But were Bentham alive today, one shudders at what he'd make of the Scrooge-like actions of the university's head, Professor Grant, and the escalating row over the poverty wages he pays to campus cleaners. The UCL Living Wage Campaign, a coalition of cleaners, students, alumni and academic staff formed two years ago, has demanded that contract cleaners at UCL get paid the living wage of £7.85 an hour — the threshold needed to survive in London — instead of the minimum wage of £5.80 an hour. I am constantly disgusted by the way we treat cleaners in this country. Cleaning should be an important job, but when it comes to cleaning we try our best to get this service down to the bare bones. This is why it's mostly poor immigrants who take up these jobs and not Brits. Cleaning jobs do not pay enough for Brits to live on. I used to do one of these cleaning jobs before going to college 20 years ago, when I was paid £5 per hour (not that far from today's minimum wage. What has happened! Why do we not respect the job of cleaners. Imagine how much cleaners would be paid if there was no minimum wage? I'm certain that this is an issue at some companies in Bracknell as we have Ghanaians who are working in our companies scraping a living from these part time jobs, just as people all round the country do. We do need to pay a living wage for cleaning and we do need to have more respect for cleaning and cleaners as they do a very important job, One which most people these days simply wouldn't consider. I have read this on the KambingBujang blog 'Why Introducing Baby Hatch Is A Really Bad Idea'. If I was this blogger, I would be more worried about the reasons why this hatch is required. Sometimes I do wonder what kind of world we are living in. Of course this is the same world where boys are dressed up as women and then sexually abused in the name of tradition, see dancing boys of Afghanistan. Spiderplant Land has put keyboard to blog and written a post about 'Encouraging the blogosphere and challenging the status quo' .The blogosphere has become a little predictable over the last year or so with no real movement. I think the bigger issue as Iain Dale points out (in (Is the MSM Eating Up the Blogosphere?). It is hacks and other established media blogs taking over from independent bloggers (that is to say bloggers who are not paid for by a media organisation). Blogs should be an alternative to the media to allow other expression. This take over will hide the voices of the masses in threads rather than articles. This is not a good thing for free speech, we are liberated by the internet to express ourselves. But you can help by letting other bloggers know about your blog. Unfortunately I'm not aware of any new blogs that have continued for longer than a year. So if you are new to blogging please let me know in the comments. I will link to you in this post. UPDATE: We have our first taker, a very new Labour blogger Ingoratio. His first two posts are Why it’s time we got excited about the Big Society and Principles and how to get around them. Welcome to the Blogosphere. Thank you for your letter dated 9 July to Chris Huhne and your comments on DAB Radios and climate change. I have been asked to reply and apologise for the lengthy delay in doing so. This government is committed to making the urgent decisions needed on energy and climate change. The Prime Minister has publicly stated that he wants to make this the greenest government ever'. Climate change is the biggest challenge we face, and the time we have to address it is short. But it also represents a real opportunity to drive forward innovation, job creation and competitiveness, supporting the UK economy while playing our full part in tackling global climate change. You may wish to keep an eye on our website (www.decc.gov.uk) which is regularly updated with policy developments. Thank you for your letter, dated August 2010, replying to mine with the above heading, which was addressed to Chris Huhne MP, and dated 9th July. I must say that I am very disappointed that you have made no attempt whatsoever to answer any of my questions, or to discuss any of the points that I made about adverse effects on climate change in my letter. Nothing you have said alters my conviction that this DAB radio conversion was the last government's response to pressures from the businesses and industries that are involved and that will benefit hugely from it. Nor does it ease my serious doubt that any adverse impacts on climate change were even remotely considered by that previous government. Quite naturally, because of the green claims by both the Prime Minister David Cameron and his Deputy Nick Clegg, and also by the DECC Secretary of State Chris Huhne, I did expect much better from this new Coalition government. Yet, while this DAB radio changeover will have some very obvious links to job creation that you refer to, it most certainly not green jobs that are going to be created by it! I hereby, once again, accuse the DECC of supporting a policy that is going to waste energy and accelerate climate change, not slow it down. How can the DECC, possibly justify doing this? Is job creation and supporting the economy always going to win over climate change action? Please tell me how this is going to save any energy whatsoever, even over the longer term, as compared with the sum total of all the energy that will be consumed in making this changeover, plus all the energy that will be wasted – the energy that was invested in making the analogue radios. Please tell me how this is going help us play our part to stop global climate change. If you can offer me one shred of evidence or any persuasive argument that will prove me wrong I would be quite pleased to hear from you again. I would be even more pleased to receive the courtesy of a more detailed reply from the actual gentleman that I took considerable trouble to write to in the first place, rather than have my letter discarded into the "distraction therapy unit" that you appear to be working in. This seems to be incapable of doing much more than issue stock phrases of reassurance to people's letters that the new minister finds too awkward for him to reply to himself. I shall look at the www.decc.gov.uk website, and I will respond to any open consultations. However, in my experience, these are very often just a black hole into which concerned people take a lot of trouble to pour out their hearts, with their serious concerns and even constructive suggestions - yet where any unwelcome feedback is conveniently lost forever. Most government consultations seem to me to exist to justify the claim to having had one. In addition a letter has been send to our local MP Dr Phillip Lee who is Chairman of the All Party Committee on the Environment and is also a member of the Energy and Climate Change Committee. We await his reply to, lets hope he actually reads the letter. I'm not so sure co-ordinated strikes are really going to help protect jobs during cuts? This move will split the country and could build a concenus against the unions. I would prefer the union to offer other ideas to the coalition such as detail on where taxes could be increased and on what could be cut. Lets not go back to the old days of industrial action. We need to change the economy so that we are not reliant on public sector jobs but have our own industrial and services base. We need to redirect funds to change our economy so we are not reliant on public spending to keep the wheels turning. It is a false economy. I also wonder why the unions did not support Labour more before the general election. The unions were involved in industrial action that hurt the Labour government and yet they did not defend Labour policy until after they lost the election. 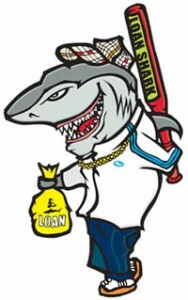 Left Foot Forward has posted a link to the campaign to end legal loan sharking. The title of the campaign is a little misleadering as the Labour MP for Wigan, Lisa Nandy is actually calling for a cap on the charge for credit. However this is a better idea than a total ban. This will still allow credit lending to continue and will not stop these loans. Many People on low income need these loans to help them live from day to day. Work on £400m Reading railway station revamp shuts road - This will improve train services for the whole area. Fight to defend communities - I'm tempted to join them. Green light for green belt shops - I support a craft village as the buildings are already there. The top local Blogger Mark Reckons is Bowing Out I blogged about this here Mark Reckons is bowing out. Who can blame him. Walaa Idris has The Politics of Politics! Memory Walk 2010 - Sunday 12th September 2010 organised by the Alzheimer's Society. It appears Bracknell Blog has made number 29 of the Total Politics Top 75 Liberal Democrat blogs. Thank you to anyone that voted for me. I only bother to do this because you read this blog. But it also appears I have made it into the top 100 The UK's 100 Worst Political Blogs. Oh well swings and roundabouts. Lets hope its because I annoyed someone! I'm certainly no fan of Andy Coulson or the News of the World and I remain suspicious of his involvement in the phone hacking scandal. But the prove does seem tenuous. One thing is for certain now that the Metropolitan Police is to examine new evidence, this is further proof that the more you can keep a story in the public eye the more chance the media and supporters of the story have of getting a result and a scalp. I was lucky enough to get my fat face again on the inside pages of the Bracknell Standard. For What Does Bracknell Think? This week's question was - With record A-level results recorded in Bracknell last week and record GCSE results predicted for tomorrow, are exams getting too easy? Also, with more pupils going after fewer university places, should more pupils be encouraged to leave school to pursue a career rather than doing A-levels. I doubt exams are any easier today, however I suspect teaching maybe targeted much more at passing exams then they used to be. This could partly explain the increased pass rate. We too often knock young people when many young people are hard working and certainly better behaved then I was. Every generation does this. As someone who didn't go to university I do hold it as a personal regret for missing out on the experience rather then the learning. I felt that, myself and my parents could not afford the cost even back then. I don't feel it's held me back. For that reason I would like to see much more skills learning like the kind of hands on courses which are available at Bracknell and Wokingham college. Your not a failure if you don't go to university its not for everyone. Today I tweeted this "@GuidoFawkes Disgusting you & the press have lost a man his job, caused family heartache & have committed a big error @iaindale was right" (see Guido Fawkes Should Cease & Desist). This was in response to Christopher Myers resigns from the FCO, citing “untrue and malicious allegations” with William Hague. See Guy Fawkes Blog Exclusive : Hague Shared Night in Hotel Bedroom with SpAd. This type of story where the media and/or bloggers try to out someone for being gay and therefore cheating on their wife because two men share the same room (yep I have done this too, so what? no nothing happened!). Sharing rooms is a good idea, it keeps the cost down. This just the kind of thing that makes me want to leave politics. I'm in this game to make a difference and I am happy to disagree and argue out different views. I understand that the vast majority of people who are in politics are there for good reasons. Me may just disagree on how to get there and how to achieve the best results and on our priorities, political beliefs and how to use power. But I am not in this game to slag of people's personalities as with the recent Labour books or examine politicians personal lifes. Please can we just get on with governing the country and can we critise the government for what they do and not who we think the people in it could or could not be doing in their private lives. I have had a drink with GuidoFawkes at last years Liberal Democrat conference. Hes a very interesting chap to share some beers with. I just think he has called this one wrong. I would like to see him be big enough to admit this. We wait an see.